Regina, Saskatchewan – Farm Credit Canada is now accepting applications from registered charities and non-profit organizations in rural Canada for the FCC AgriSpirit Fund. The fund will award $1.5 million in funding this year to celebrate Canada’s 150th anniversary. The application deadline is April 17, 2017 and FCC will announce the selected projects in August. Rural community groups can view the eligibility requirements, past projects and apply online by visiting www.fccagrispiritfund.ca. For the past 14 years, FCC has awarded rural community groups between $5,000 and $25,000 in FCC AgriSpirit funding for various community improvement initiatives. 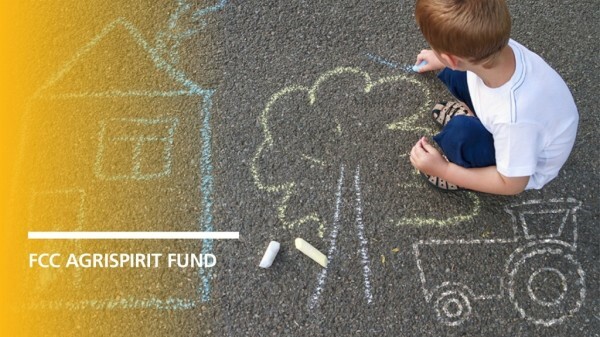 From purchasing equipment for emergency services and recreation centres to building care homes and playgrounds, FCC AgriSpirit funding supports key projects that enhance the community. Since inception of the FCC AgriSpirit Fund in 2004, FCC has supported over 1,000 capital projects in rural Canada totaling $10.5 million in donations.